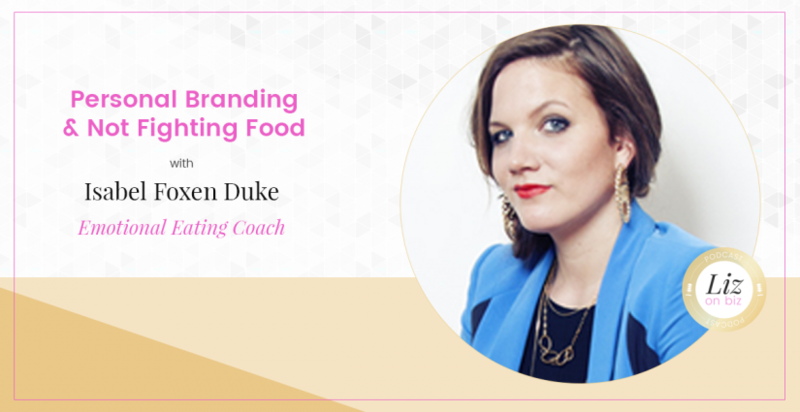 In this interview, Isabel Foxen Duke generously shares her expertise on the subjects of personal branding, copywriting, product launches, not fighting food, and the twists and turns in the entrepreneurial journey. Isabel Foxen Duke is the Creator of Stop Fighting Food — a free video training program for women who want to “stop feeling crazy around food.” After years of trying to overcome emotional eating, binge-eating and chronic weight-cycling through “traditional” and alternative approaches, Isabel discovered some radical new ways to get women over their “food issues” once and for all — not just by shifting the mindsets of individuals, but by challenging the dominant diet culture as a whole. 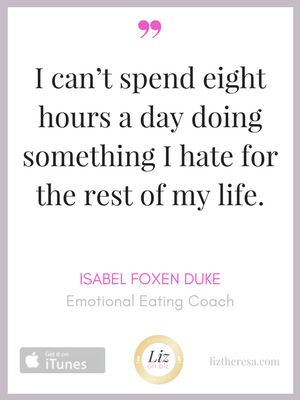 Her writing and free guide, How To Not Eat Cake, can be found at www.isabelfoxenduke.com and you can watch her free video training series at www.stopfightingfood.com. Check out the Stop Fighting Food Video Series. [12:51] Does Isabel ever get negative responses?